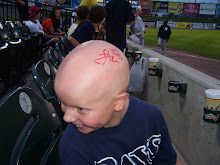 The National Alopecia Areata Foundation announced that they would use baseball as a platform to raise awareness during September, which is awareness month. Friday, September 23, the Lancaster Barnstormers and Autographs 4 Alopecia have teamed up for an awareness night during the first home playoff game in 5 years! 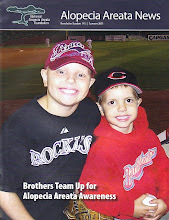 We will be having a silent auction, table with brochures and wrist bands, and scoreboard messages during the game. Thank you to the Barnstormers for helping us raise awareness in the Lancaster and York fan bases. Game time is set for 7:00! Do we get tickets through you or directly from the ticket office? You would need to go through the Barnstormers ticket office. Because it is a playoff game there is no discounts or block of tickets.